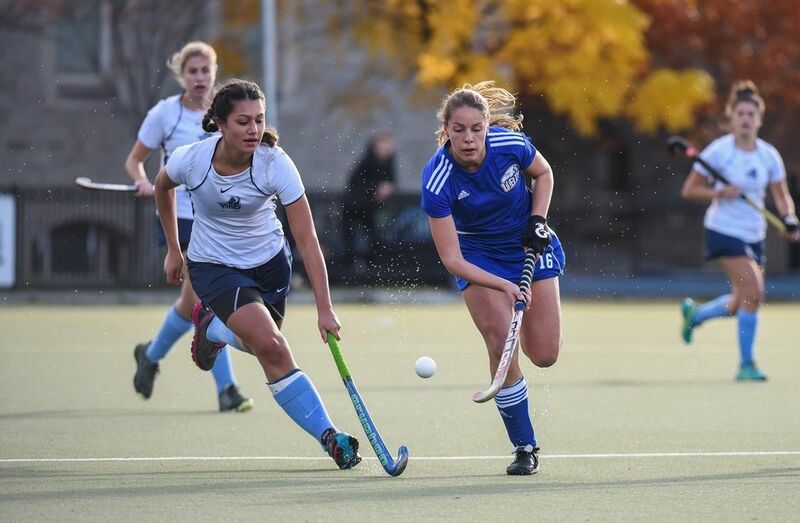 For the third time this season the University of Victoria Vikes and the five-time reigning champion UBC Thunderbirds played to a 1-1 draw as the Canada West showdown opened Day 2 of the 2016 CIS field hockey championship at Back Campus Fields. It marks the seventh time that the two teams have tied at the national tournament. The T-Birds are undefeated against the Vikes in their last 10 meetings on the national stage (6-0-4), while also going 2-0-2 versus Victoria during the regular season. After a scoreless first half, fifth-year defender Rosie Beale got the Vikes on the board. The native of Victoria tallied her first goal of the tournament off a penalty corner in the 38th minute. The T-Birds had a great chance to even the game 10 minutes later when team was awarded a penalty stroke. 2016 U Sports all-Canadian Hannah Haughn stepped up to take it but Vikes goalie Larissa Piva came up with a diving save to keep UBC off the board. UBC did net the equalizer though as fourth-year veteran Meghan Hayden dove to tip in a Rachel Donohoe shot off a penalty corner in the 54thminute. Victoria pressured hard in the dying minutes of the game but UBC held them off to hang on for the tie. The top-seeded T-Birds (1-0-1) wrap up round robin action versus the OUA silver medalist Guelph Gryphons (0-1-0) tomorrow at 12:30 p.m. The Vikes (1-0-1) will take on the No. 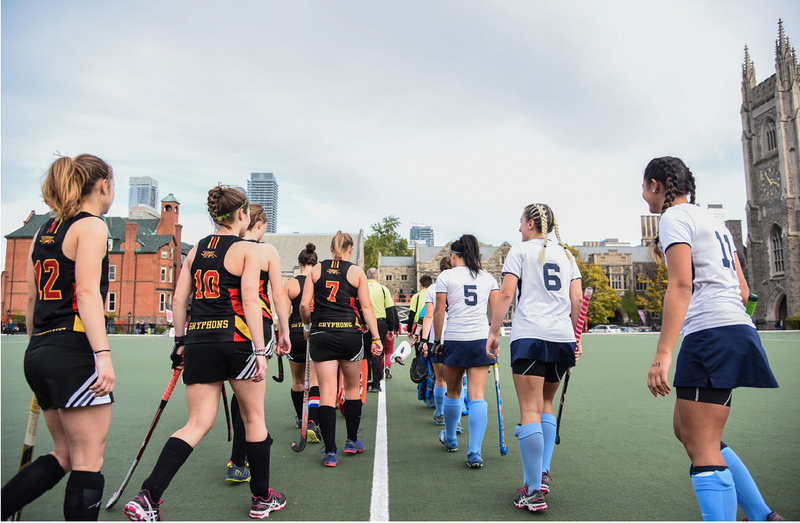 2 seed and host Toronto Varsity Blues (0-1-0) in the final round robin game Saturday at 3 p.m. Both games will be streamed live on SportsCanada.TV.